Freebies, Grammar, SBAC, Skating and a Question for You! Oh my! I must be linking up to Doodle Bugs Five for Friday! 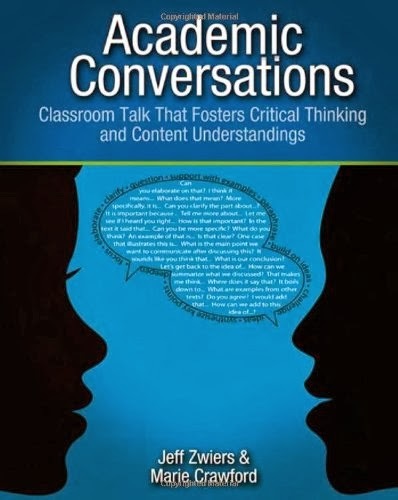 Next week, I will be facilitating an Academic Conversations Book Club meeting with another teacher. We are focusing on Chapter 6, which is about Grammar and Vocabulary. My first impression was: Grammar? Vocabulary? This seems kind of dry. But then I started reading and it began to jog some issues I have with grammar and vocabulary, specifically students’ improper use of grammar or misusing vocabulary (one recent incident that comes to mind is when a student told me suffrage meant a series of prayers). When it comes to improper grammar, I tend to use the repeat correction method. I repeat what they said but I use the proper grammar. Sometimes they get what I’m doing and they’ll repeat what they’ve said; sometimes they look at me like I’m weird and don’t understand why I’m interrupting them, or other times they’ll just ignore me and keep talking. Can you think of a better way to address this? How do you handle it? Has it ever required a full out lesson type intervention? (My encounters tend to be minor incidents with one or two random students). Last Sunday, I blogged about tips I’m giving my students in relation to taking the SBAC test. Tip 3 was to use all resources available to you. I listed some examples, but I recently found on the SBAC site this gem which lists all the SBAC supports available for student use. 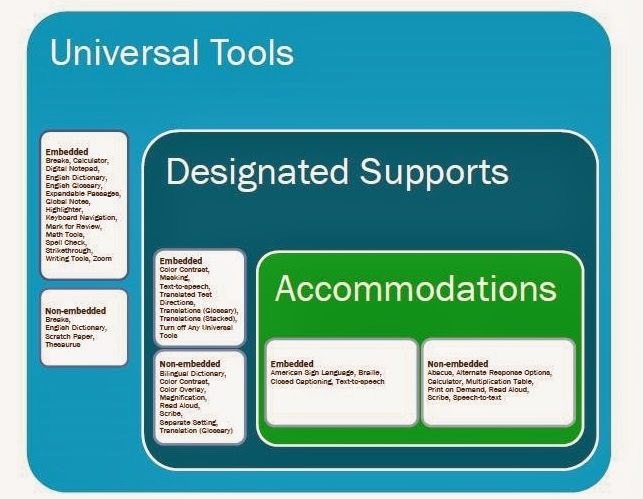 The tools are divided into Universal Tools, Designated Supports, and Accommodations, and each category is further divided into embedded and non-embedded. Keep in mind, that just because something is available, it’s not always available for all students at all times. For example, just because it says highlighter or English dictionary under Universal Tools, doesn’t mean that students have access to a highlighter or to an English dictionary, say during a math test to look up the definition of a prime number. It’s only available for ELA-performance task full writes. already attempted - which means if a student wants to continue testing the next day, that’s fine. But they can’t revisit questions they already answered. I also came to the realization (along with another para’s help) that there are two SBAC sites. One is http://sbac.portal.airast.org/ and the other is http://www.smarterbalanced.org/. They have similar formatting but offer slightly different resources. For example the second one has videos you can watch while the first one seems more test content based, such as sample test materials, rubrics that would be used to grade written work. I made my first “pretty” TPT product for text structure. I’ve put some other items up there but they were NOT pretty or very creative. This product is a step in the right direction! My students are struggling with identifying which text structure was which. Last year I had creating a matching activity that they would do after we discussed and looked at examples for different text structure, and it overall, for the most part, worked. This year though, it isn’t cutting it for them. I found a great graphic organizer that has a set of passages along with it. I added this and students benefitted from breaking down the passages more specifically. But some students STILL struggled figuring out what passages were what even with the graphic organizer. 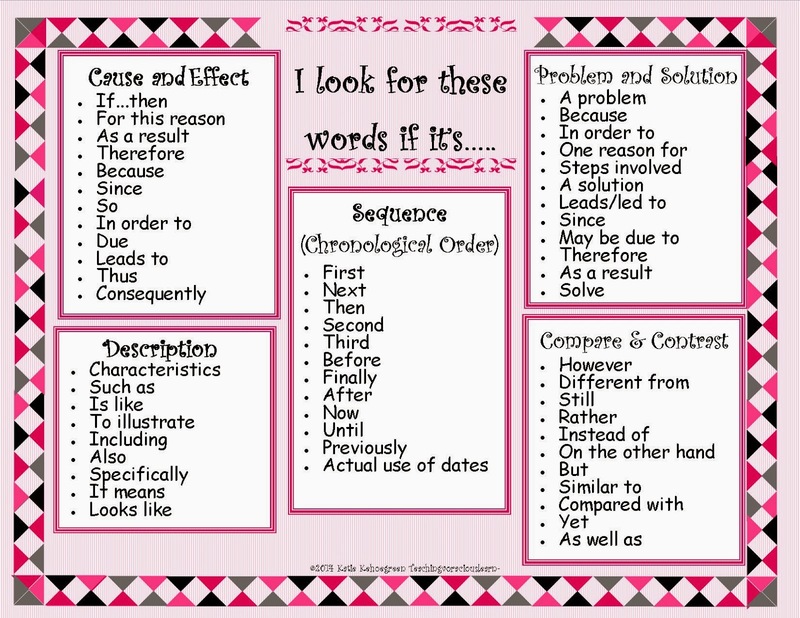 In the reading specialist office about two weeks ago I mentioned how my kiddos were struggling with text structure and she whipped out a great poster that had types of text structure, an example book for the structure, and key words for them under that. I took the key word section and that’s what formed the basis for this TPT product. 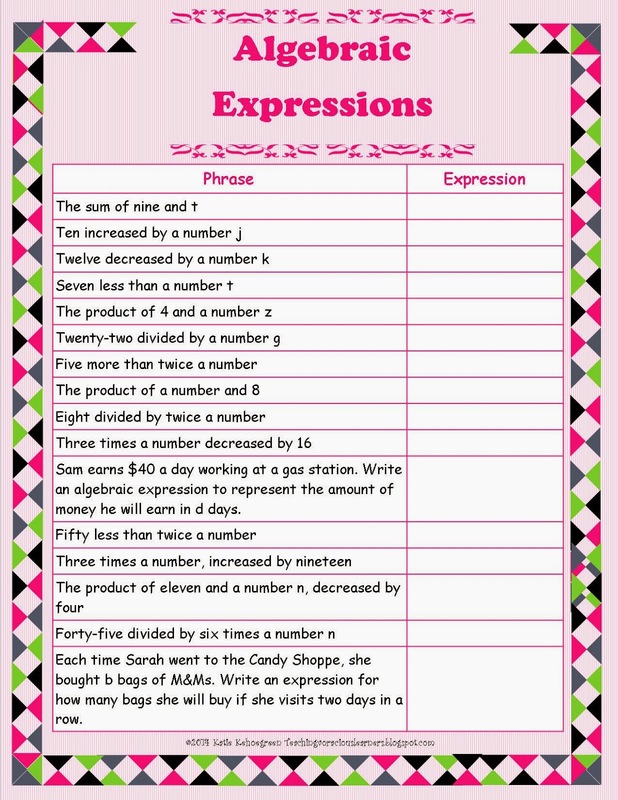 I also prettied up my Algebraic Expressions worksheet my sixth grade math students have been working on to support classroom instruction. 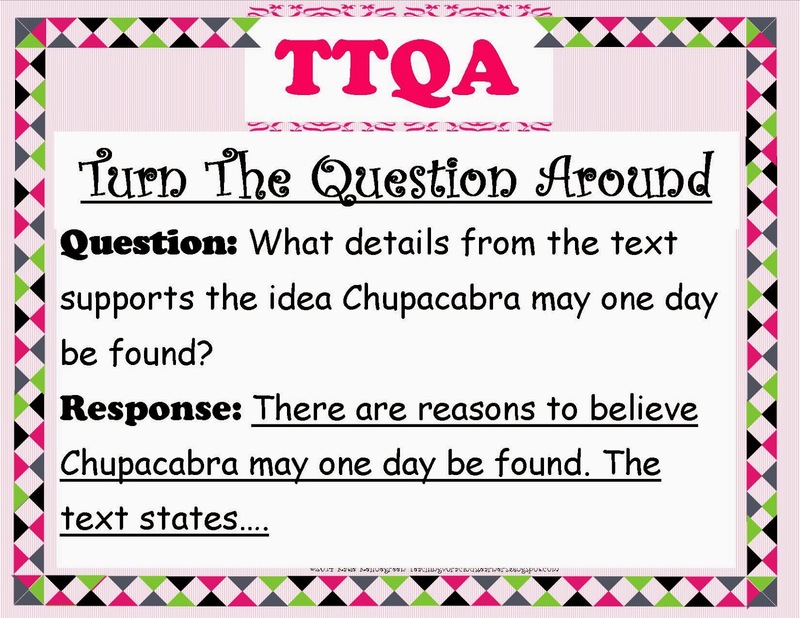 I also made a poster for the TTQA: Turn the Question Around strategy for written response questions, that includes an example. And all of these are freebies! I also have a TTQA and Close Reading activity in the works. I mentioned last week that I had gone running a bit. This week I did less running (it was cold!!) 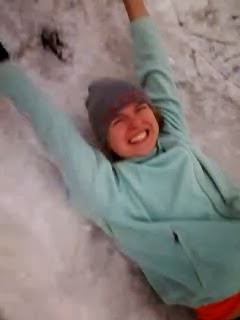 but I did play some soccer AND I ice skated for the first time in a REALLY long time. I should correct that statement: I never really ice skated. I boot skated. I have issues with balance. Or so I thought.